Christmas Decorating Inspiration: Old World Style Ornaments - Susan Said... WHAT?! According to my husband and kids, I have something of a little Christmas “problem.” Admittedly, I do usually erect five (sometimes six) Christmas trees throughout the house. 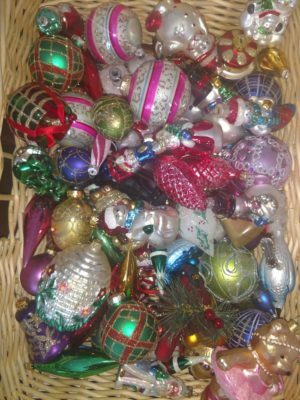 And, I do own almost 4,000 ornaments. But, a problem? Never! My themed trees run the gamut. This year there’s a white, gold, and silver tree inspired by legendary Longwood Gardens. A kitchen tree covered in vintage cookie cutters and gingerbread men. An equestrian themed tree which pays homage to my lifelong love of horses. And of course, a family tree covered in every sentimental ornament from my childhood, the children’s school arts and crafts, ornaments gathered on vacations, gifts, and every adorable ornament I simply couldn’t pass up. 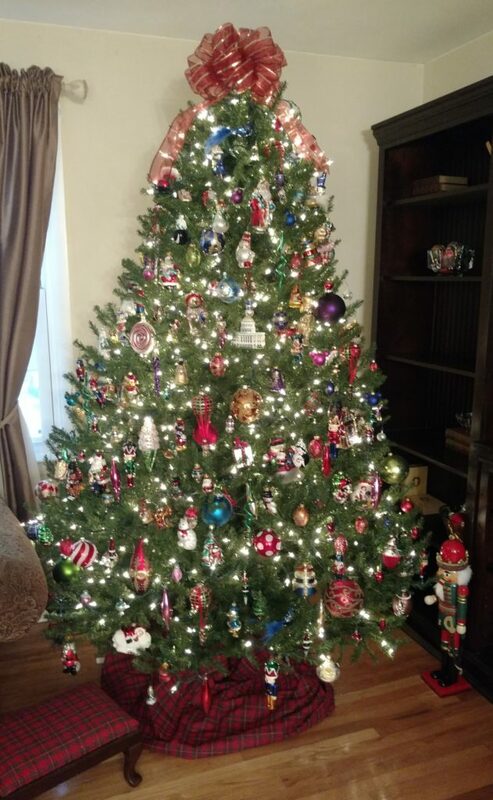 But, the tree that is the true showstopper is the 7 1/2′ fir in the living room (pictured) which boasts well over 500 three-dimensional Old World Style ornaments. I have a real weakness for these whimsical pieces and usually receive several as gifts from family and friends each season. Ice cream cones jostle Santas riding on snowmobiles, angels and penguins coexist peacefully, and slices of pizza, nutcrackers, pinecones, ribbon candy, and bears wearing tutus all dangle merrily from its branches. Here are a few of my favorite ornaments to get you in the mood for your holiday decorating. While you’re here, please take some time to enter our latest giveaway: $149 Smile Brilliant at home teeth whitening system. Want more Old World Style ornaments and holiday inspiration? Check out Susan’s Christmas on Pinterest. I’ve curated dozens of looks you are sure to love. From the latest in women’s and men’s fashion and accessories, to garden and interior design inspiration, plus the latest products and tips for throwing parties, weddings and special events of all types, Susan Said… WHAT?! is your guide to living life in style. Win tangy and delicious Country Bob’s All Purpose Sauce. Your family will thank you! Separator image Posted in FABULOUS INTERIORS, Holiday Style. High performance leggings… for 2019 Resolutions!